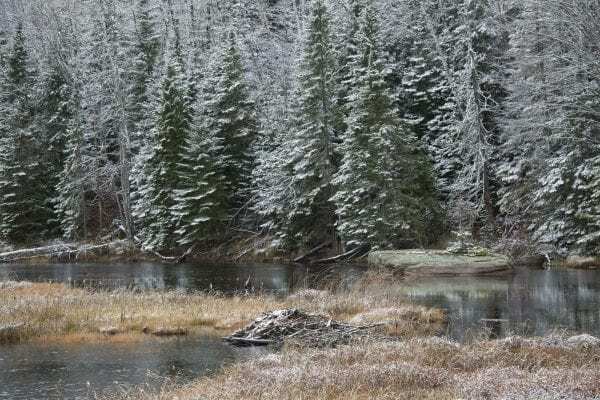 The National Climate Assessment predicts shortening winters will have ripple effects on the ecology and economy of Adirondack forests and waters. Photo by Mike Lynch. 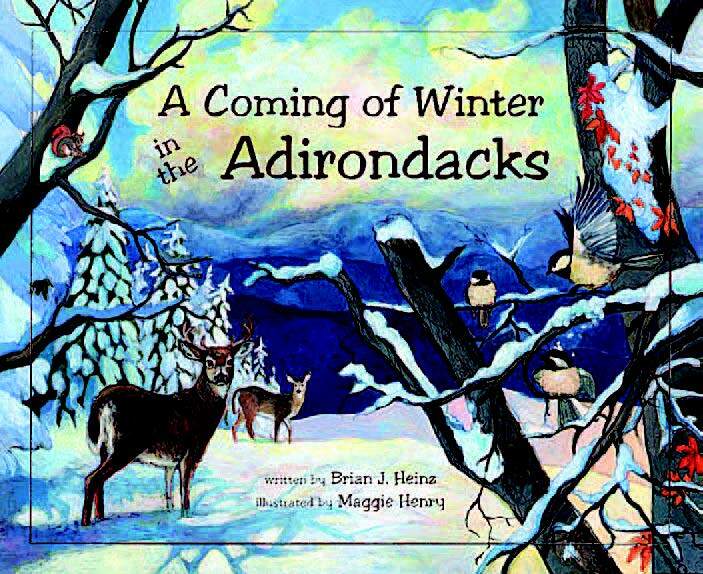 The Adirondack winter is far from endangered, but it is in decline. Winter is shortening and getting less predictable, with yearlong consequences that will intensify as the century moves along, according to the authors of the regional chapter of the National Climate Assessment. Stampone is a University of New Hampshire scientist and was among the authors of the Northeast chapter in the 2018 climate assessment, a survey of current science ordered by Congress every four years. She said winter’s retreat will affect everything from skiing to logging and farming. The Northeast has warmed by about 2 degrees Fahrenheit over the last century or so, according to the assessment, though warming in parts of the region and especially in winter can be higher. 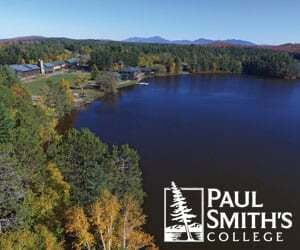 State University of New York Plattsburgh researchers this fall said their analysis of NASA data for points in the Adirondacks showed winter temperatures had risen more than 4 degrees. For the region as a whole, the national assessment predicts an annual average increase of at least another 4.5 degrees by the 2080s if global greenhouse gas emissions keep rising, or at least 3 degrees if emissions decline. These changes are sharper than their relatively small digits might suggest, because they account for wide variations and temperature spikes or heat waves. One result is that trees in the Northeast already leaf out more than a day earlier for every decade as spring conditions creep up in the calendar, according to the assessment. Put another way, under recent trends winter would lose almost a week during an average American’s lifespan. But the trend will accelerate with added emissions. Winter outdoor recreation is an economic pillar of the interior Northeast and is especially high-profile for communities such as Lake Placid, with Olympic training facilities and the Whiteface Mountain ski resort. The good news, according to the assessment, is that under most emissions scenarios high-altitude attractions likely will continue hosting profitable winter fun through the century if they have the capacity to make snow, as Whiteface and Mount Van Hoevenberg do now. Snowmaking at Gore Mountain. 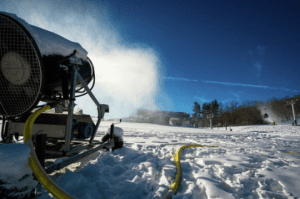 Adirondack ski areas with snowmaking capacity are expected to remain viable this century. Photo courtesy of New York State Olympic Regional Development Authority. The bad news is that lower elevations and cross-country ski trails without snowmaking equipment will have increasingly spotty seasons. One thing to watch in and around the Adirondacks is the trend in lake-effect snow created by Lake Ontario. As the surface takes longer to freeze it is exposed to the air later in the winter and earlier in spring, where the combination of warm water and cold air can prime some big snowstorms. Some studies suggest this could bring more snow on occasion, though eventually the warming air could limit this effect. Year-round, the climate assessment pegs outdoor recreation’s contribution to the Northeast’s economy at about $150 billion in consumer spending and more than 1 million jobs. The coldwater fisheries and tranquil lakefronts that attract some of that business to the Adirondacks will come under increasing pressure from warming. Native brook trout and lake trout will find their comfort zones shrinking. 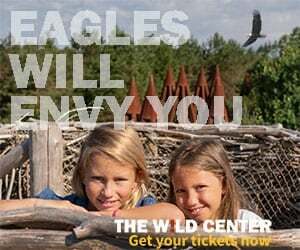 “In addition to the change in thermal conditions, they will be impacted by habitat loss and competition from other species expanding into the area,” Stampone and colleague Lesley-Ann Dupigny-Giroux from the University of Vermont wrote in response to a question from the Explorer. At the last Adirondack Park Agency board meeting, Cornell University researcher Dan Josephson described how monitoring at one park lake showed later and diminished brook trout spawning as water temperatures rose. In three of the last 13 years it was so warm that he and colleagues observed no spawn at all. For lakes without deep, cold pockets, a warming climate may prove as threatening as acid rain did in previous decades. Warmer water also brings the risk of more and worse algal blooms, which have begun to raise warnings for swimmers on Lake Champlain and elsewhere in the park. Nationwide, the assessment’s models project, the number of days per year when cyanobacteria levels will threaten gastrointestinal, neurological and other ailments will increase by a month this century under higher emissions levels. Low-emissions models cut this increase roughly in half. Intuitively it would seem that longer growing seasons might make it easier to make a living from the land. Farmers can get started earlier in the season, and extra days of warmth will mean extra growth on trees. Other factors will make these pursuits more difficult, though. 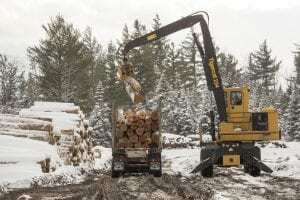 Loggers, for instance, will have less frozen earth on which to maneuver heavy equipment in winter. In some cases this may shut down operations that previously could work through the season without violating environmental regulations against creating ruts in the mud. “We’ve already seen this happen,” Stampone said. 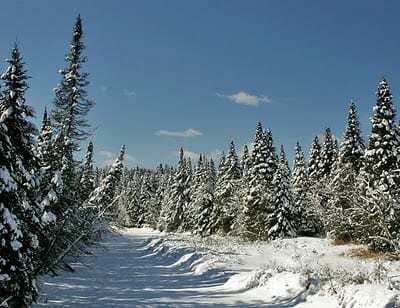 Thawed earth is expected to complicate winter logging. Photo by Mike Lynch. 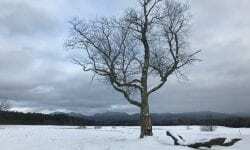 Warmer winters also invite tree pests such as the hemlock woolly adelgid, emerald ash borer and southern pine beetle to expand their range, according to the assessment. Farmers may face a dual threat from warmer springs and summers. First the early leaf-out will cause fruit trees to bud before they should, risking a total crop loss if a hard freeze follows. “Even as you warm up early in the season you’re still at risk for late frosts,” especially at night, Stampone said. Then, the rains may wash out crops after they sprout. The assessment predicts more intense rainfall as the region warms, also increasing flood risks. Ticks have already spread into higher and formerly colder country, bringing Lyme disease and other ailments. Mosquitoes may also bring diseases previously unknown to a given zone. “It’s pretty certain that we’ll see an increase in the number of vector-borne diseases,” Stampone said. Ultimately, as with all of the coming changes, the best defense is a reduction in emissions that cause warming. “The magnitude of those changes depends on the rate of warming,” Stampone said. This ties in with the movement to remove the railroad. Are we still sure it’s a good idea, given the decline in snowmobile registrations and now the decline in weather in which they can be used? Are we sure we want to put all our eggs in the trail basket?